Look, I know that headline seems a little over the top, but wait until you’ve watched the video. There are bad misses (the likes of Fernando Torres and Alvaro Morata at Chelsea will understand), and then there’s an attempt that is so bad that it actually prevents your own team from scoring. 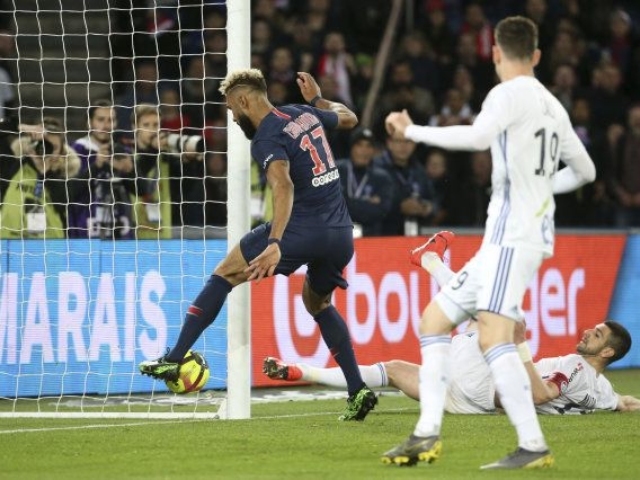 That’s what happened with Eric Maxim Choupo-Moting on Sunday night, with his PSG team held to a 2-2 draw with Strasbourg in their Ligue 1 tussle. Worse still, a win for the filthy rich Parisian team would have handed them the title with eight matches still left in the league, but those celebrations will have to wait. Cameroonian Choupo-Moting, handed a rare start as head coach Thomas Tuchel rested the irrepressible Kylian Mbappe, did actually score the game’s opener, but nobody is going to remember that. Opening up on one of the worst ever misses, he said: “I thought Nkunku was going to give it to me – and than I thought the defender was going to get it. Shame, now PSG will have to wait another week to secure the title that everyone knew they were going to win by a mile anyway. I guess that’s what happens when you sign players from Stoke City.